The Grey Seal Conservation Society (GCSC) is a non-profit organization, formed in April, 2004, to oppose the proposed new grey seal hunt in Nova Scotia, Canada. 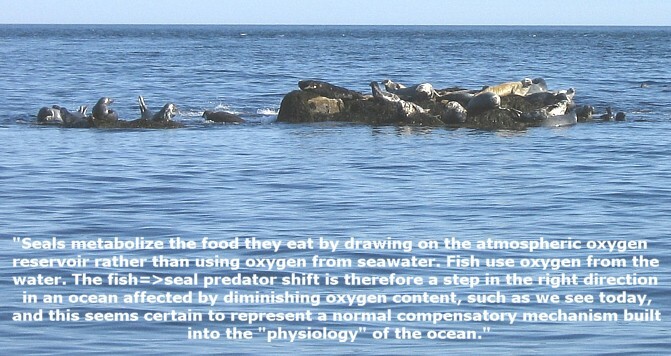 Given the complexity of the current mounting problems with sea life - from starving codfish to oxygen-depleted "dead zones" - removing more seals at this time appears not to be a prudent decision. Federal legislation dictates that a "precautionary approach" be taken to the exploitation of natural resources in Canada. Before this can be done, Canada's "seal problem" in the 21st century deserves to be reviewed in objective detail to understand exactly how seals relate to the "starving fish problem," the "declining zooplankton problem," and the "oxygen depletion of seawater" problem. Evidence that the presence of seals naturally tends to counteract each of these broad-scale rising threats to marine life is offered here. GSCS invites debate on these points. GSCS hopes that the fishing industry, marine scientists, and the general public, will seriously consider the many facets of today's ocean "problems" and will openly contemplate the complex ecology of seals. The GSCS hopes to counteract a traditional, short-sighted human thinking habit: jumping to the conclusion that since seals eat fish, and since they spread codworms, that seals are a form of vermin that must be removed or "controlled" for the benefit of fisheries. This is not true, because there is substantially more to the story. Marine fish face far more serious threats today than simple co-existence with their natural predators...an arrangement under which they thrived for hundreds of millions of years, and an arrangement which seems to have naturally optimized both fish health and ocean health. 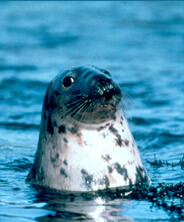 Federal law obliges Canadians to "err on the side of caution" in deciding whether or not to implement an activity such as the proposed grey seal hunt. Promoting this objective - refraining from killing grey seals while their holistic relationship to ocean health remains unknown - is the mandate of the Grey Seal Conservation Society.